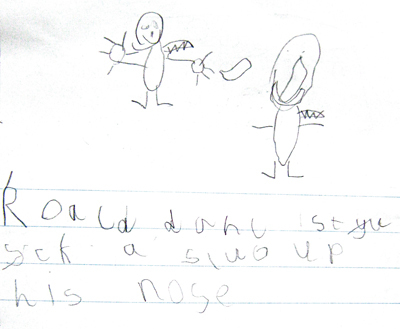 D: Roald Dahl sticks a slug up hise nose! Eew! This entry was posted on Saturday, March 9th, 2013 at 8:30 am and is filed under Uncategorized. Tagged: author, book, books, children, children's, Children's literature, fantasy, fiction, Roald Dahl, slug, slugs, story, tale. You can feed this entry. You can leave a response, or trackback from your own site. « Oh – to be a woman!